Alright y’all, it’s truth time. I’m in desperate need of your best spring cleaning tips. Whatever you’ve got. If it’s something you’ve pinned onto Pinterest, lemme have it. If it’s a post you’ve written on your own blog, give me the link. If you use a super duper amazingly strong and natural homemade cleaner, please share the recipe! 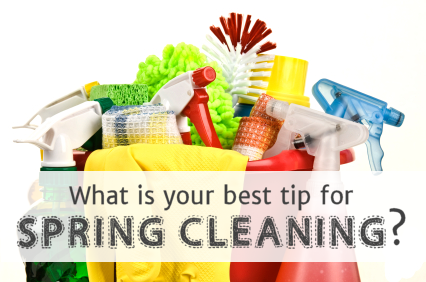 Do you have a cleaning schedule that keeps you on track so that the spring cleaning isn’t so overwhelming? Do you have a spring cleaning checklist that you follow? Share, please! I’m desperate here. Not only am I desperate for your tips, but I’m also desperate for some motivation to get to cleaning. Remember how I said on Monday that I’d clean up my living room and show you where I am today on the designing and decorating of that room? Yeah…well…today is Wednesday. And I still haven’t done that. Can I tell you why? Because it’s a complete mess, and the idea of cleaning and organizing it has me incredibly overwhelmed, so I’ve thought of better things (i.e., much less productive things) to do over the last two days. But today, I’m just going to make myself do it. I can’t put it off forever! Let me just be really honest with you. My talent is decorating a room and making it look pretty. But when it comes to keeping it clean and organized, I’m awful. I mean, just really awful. My whole condo is in desperate need of a good spring cleaning. My living room is filled with piles of tools, papers, random stuff. And since I do my DIY projects and use my tools right outside my front door, there’s also a thin (or not so thin) layer of sawdust covering just about everything. When I use my tools (think: miter saw, and electric sander) regularly, and track stuff in continually, it’s virtually impossible to keep it under control. It needs a good cleaning. I’m talking about the really deep cleaning, where every nook and cranny is wiped down, sprayed down, vacuumed off, dusted, washed, etc. The piles of tools, papers, and other stuff, need to be dealt with. To be honest, I’ve just gotten so used to looking at them that they don’t really bother me anymore. The only time I become acutely aware of them is when someone knocks on my front door unexpectedly and I do that split-second assessment of the state of my living room. Then I’m horrified. So I need to get serious. 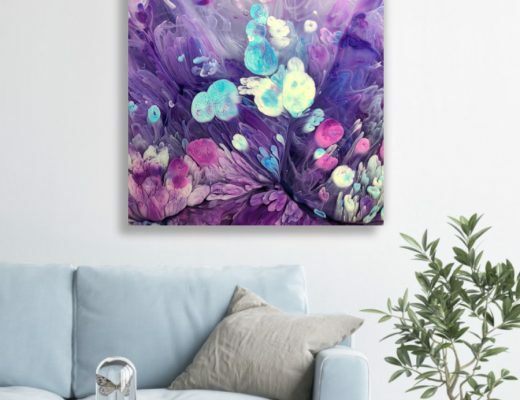 I finally have some ideas in my head for my living room design. I really do want to show you what I’ve done so far, and where I’m going with it, but first, I have to clean. Have You Tried Chalk Paint? Progress Report Monday:: My New Countertops!! Tackle it just like you do your home improvement projects. Make a list of things that need to be cleaned/organized down to single drawers, pile of papers, finding a new home for a tool, etc. I find if I do it this way, I can find 15 minutes to clean out a drawer but wouldn’t have tackled the whole cabinet because of time but one drawer at a time, it gets done. It also helps me not feel so overwhelmed. A lot of little checks gets me to my end goal! I started spring cleaning this week! I agree with brehaut – tackling one area at a time helps instead of trying to do everything in one weekend. My husband and I made a big list of house projects with a completion goal of 4th of July (just in time for a bbq with friends!). We tackled a closet last night and ended up with a huge pile for Goodwill. Another closet is on the to-do list tonight. We save big projects and yard projects for the weekends. A little bit every day helps. Don’t forget “rest” days, where you don’t do anything! Sort and make categories. My daughter’s room gets so cluttered and I have to wade through it every few months. I have several boxes/bins and I start sorting. Do the traditional keep/throw/donate piles but then add categories for things that will stay in your living room. For example, have a book box/bin, a movie box/bin, craft supplies, etc. After all clutter is sorted and trash thrown away wipe down hard surfaces with a bucket of warm soapy water and a rag. Vacuum rugs/sofas. Then unpack each bin/box in the places they will live. Oh, I love your “natural ingredients” tip! I understand the vinegar, baking soda, and lemons. But what do you use olive oil and salt for? Ditto! Having a to do list of managable items is a great motivator and gives you a sense of accomplishment. The first three comments are spot on! I would suggest focusing on the part that says, “unpack each bin/box in the places they will live”. That makes a huge difference. The only way to keep it clean is to ensure that each item you decide to keep in your home has a designated proper spot to keep it stored or placed neatly in order to avoid clutter and build up over time. This is a work in progress for me, but it has worked wonders in my kids’ rooms in the last few months. No more wading through piles of stuff! salt is used like baking soda as an abrasive to a vinegar mixture. The difference is it won’t explode like a volcano when you mix it and it’s less harsh (on hands). Also salt is good on laundry day, it prevents colors from bleeding/fading. Olive oil is used as a natural polish on wood, faucets, tile, and countertops. You can also add it to baking soda to make a strong creamy like cleanser. Lighten up, Kristi. Your talents are so obvious that you should know that sometimes you just have to replace your light bulbs with lower wattage to create ambiance……….and hide the dust bunnie. Seriously, don’t make it a big job. Get a bottle of vinegar, some rags and go to it. The best and probably the cheapest window cleaner is VO5 shampoo and water. Spray and wipe, works like a charm. FIRST AND FOREMOST….I have to get everyone out of the house but me! As much as I am torn at that time to sit down and enjoy the quiet with a good book…I go right over and find some music I LIKE!! Turn it up as much as you dare and start rocking and singing!! Music is a huge motivator for me. Have you ever used that cleaning paste by Norwex? I kinda like that stuff! I would like to give you the REAL name of it..but guess I need to get cleaning/organizing myself…it’s not where I think it was. Remember, if the icky stuff is done you will surely enjoy the fun stuff! (decorating!) Keep up the great work! I use baking soda as a scrubbing agent mostly! And vinegar!! And I’ve never heard about VO5 shampoo and water, but I might have to try that one day;) I have so many dust bunnies that I might start naming them lol!! Your house is beautiful, I would so buy it if I were in the market for a new home. The most helpful hints I ever got came from http://www.flylady,net. A wealth of info. Routines. Crisis cleaning. Etc. Alot of love and humor also. When I have a huge task to tackle I start playing games with myself. For instance, I will put a load of laundry in the washer and set a timer I can hear wherever I am in the house. My task is to get as much done as I can before the timer goes off. I am always amazed at how much can get done in 45 minutes of concerted effort. I am pretty methodical as well. I will choose a corner of the room to begin and then I will work my way around the room. I will designate an area for things that need to be returned to their appropriate home. I will have a trash receptacle close by and I use it. My goal is to get rid of the clutter before I begin the washing, polishing, vacuuming, and other deep cleaning that needs to be done. It is very satisfying to have the clutter removed and makes the cleaning easier. Spring is the time for me to start at the walls and work my way to the center of my rooms. Walls, baseboards, trim, light switches, and windows all get their share of TLC. My favorite tool is a Mr. Clean Eraser. . .anything that can remover permanent marker with only water is a miracle in my eyes. I work my way around the room and then to the center. I dust, then vacuum, then polish. I keep myself to one room at a time. And using the timer I can get the laundry done while I am getting the room clean. This has worked for me for decades. The cleaning supplies may differ, but the proven method has remained the same. The key seems to be to see the task not as a chore but a challenge to be finished before the timer goes off. Good luck on your own Spring cleaning. Mr clean magic erasers are the BEST thing ever! They will clean stuff you wouldn’t think would ever come off!! My go to cleaner for sure!! I agree with Kimberly…..find a way to hire some cleaning help…..you’re a talented lady….barter your talent. I second Lynn’s suggestion of FlyLady. The info at the site may seem a bit overwhelming but essentially FlyLady’s mantra is that you can do anything *for* 15 minutes (not *in* 15 minutes). So, my suggestion is to play some music you like, set a timer for 15 minutes, and just do something/anything. Don’t worry about sequence or order. You will be amazed at how much you can accomplish. Just doing anything will make you feel better. Oh, and those papers… if they aren’t crucial box them up and pull them out a few at a time and deal with them. It’s really OK to do that. My new favorite cleaner is 1/2 white vinegar, 1/2 Dawn dish detergent (scent, or not, of your choice) mixed in a spray bottle. Trust me, it takes very little. I make a to do list. Sounds kinda lame, but since I started doing that I am much less overwhelmed by what all needs to be done. I do not overload the list with unrealistic projects that can not be done in a day…..Example of today’s list…………..Vacuum, 2 loads of laundry, clean hall bathroom, clean out freezer on fridge… It all gets done, and I feel much better about my day. If something does not get done from the list, it is added to the top of the next days list. This is not spring cleaning for me, just my way of accomplishing things…. Ok, one tip I have that I think is useful: Keep a bottle of Windex or homemade Windex with a roll of paper towels in each bathroom. Have everyone wash SOMETHING in the bathroom every time they use it. It could be a corner of the floor, the door, the mirror, the light switch, etc. This is such a useful tip when you have teenagers who HATE cleaning! I always clean toilets in the morning so I get it over with. Don’t wash clothes unless you can put them away. Do something for 5 minutes, you’ll be surprised what you can finish! Phew, I’m tired already. A to-do list works wonders. Made up a list for each room and break it right down. Take pleasure in marking things off the list. That way you feel organised no matter how much, or little, you get done on any day. Everything can be cleaned with carb soda, lemon juice, vinegar, window cleaner, disinfectant and sugar soap. All the commercial products are a waste of money IMHO. I’m happy to say a never ‘spring’ clean. It’s not neccesary in the climate I live in. So I break jobs down into times that suit me. Basically, take a few minutes to get yourself together from your head to your lace-up shoes (I have keds). Set a timer for 15 minutes. Working in 15 minute intervals, clean kitchen, living room, kitchen, then take a 15 minute break. Then again with bathroom, kitchen, living room, break. She lists cleaning details if you don’t know where to start in a room. I just left the link to crisis cleaning, Lynn. Been fluttering for many years but that has saved me when the kids were small and I left chores until the last minute. I use the timer on my oven. It’s pretty loud. The microwave has one (go figure!) and I’ve used my phone alarm too. My fav. thing to do is ask someone over for dinner a couple of days ahead. Then I have a deadline, and the work actually gets done! As to method, I use the same method I have my kids use when cleaning their rooms – start with one thing, like tools. Put those away. Then move on to the next category. Sometimes I set a timer or give myself a treat at the end of a particularly hard task – hey, reward is a motivator! After things are put away, then I tackle actually cleaning, also done one task at a time. To me the key is a goal. Never use vinegar on wood floors. I know your Mother, Grandmother, and great grand mother do, did and it worked for her. This is only if she waxed her floors using a paste wax. If they used paste wax they waxed them several times a year, they were better protected.. If you use vinegar on travertine tile it will break it down, on shiny tile it will etch the protective coating off tile. New wood floors some are sealed with polyurethane, or they are engineered wood and vinegar will break down the sealer and damage your floors. Think driftwood. Know your surfaces before you clean! If you don’t have the cleaning guidelines google “Cleaning and Installation Guidelines and the product “. This way you will get the correct cleaning guidelines. I have a very high end cleaning business. Houses, commercial businesses. I know every surface because before it is cleaned I look it up. If I can you can. If I can’t find it I call the manufacturer. My best hint is to have the right tools. Window squeegee, I buy mine at Lowe’s and have had them for over ten years. I dry showers including the floors on showers, windows, mirrors. Micro fiber mops. These mops are amazing. Cheap ones at Walmart, I buy several mop pads. I have a bucket with warm water, rook the up and stick them in the bucket until I am ready to use them, this way I can squeeze the water out of them. I also can roll the dirty one up and clean it and stick it back in. I have dry ones to dry the floor. Getting the water off the floor prevents damage to surfaces! Micro finer clothes. These scrub, dry and do about anything. Mirror cloth, I use these to dust flat or dirty surfaces. The absolutely get rid of all dust. To get ay water off mirrors or doors the squeegee doesn’t and to shine facets, sinks, anything that needs shined. A duster like swifter dusters. Anything that isn’t a flat surface. Unless it is really dirty these save time and effort. Bathrooms it takes 5 minutes for toilet cleaner to disinfect your toilet so let it set for at least that long. If you warm your showers and baths before you spray cleaner on they will work better, remember to let the cleaners to set for a few minutes. It will make cleaning it so much easier. My last hint isn’t mine at all I give credit but I can’t remember her name. So I borrowed it. Scrub your toilet, Rinse your brush in clean toilet water, leave it. Spray down the whole toilet with a mild cleaner, place your brush underneath the lid and spray it with the cleaner, wait a few minutes to let the cleaner work. Your brush should be dry, disinfected and it will help prevent it from rusting. If this is to much please delete! I tend to rattle about cleaning. Whenever I feel overwhelmed by a project, I try to break it down into smaller parts. A list also helps. I also find that listening to music helps me to get energized and get going! I used to clean for part of my living. I gave that job up when I developed back issues but still have a few tips that might help you. 1. Other than strong cleaners in the bathroom, for obvious reasons, I mostly use your basic window cleaner for everything. It cleans, freshens and if you use the kind with ammonia it sanitizes. If you want to make your own mix half/half white vinegar and water. Easy peasy and cheap. F. Move furniture (if possible) away from the walls and wash baseboards and vacuum dust bunnies. I try to do 2 rooms a week during late March/early April until everything is done. It’s such a good feeling when it’s done. I’m on spring break this week and have completed our bedroom and the kitchen so far. Am going to tackle this very dusty computer room next. Kristi, for your photos, just pick up the clutter. All this cleaning will go to waste when you start your project – then you clean again. When the “construction” or whatever you are going to do, is over, THEN do your deep cleaning. I really, really, really don’t like housework, but what I don’t like most is cleaning up really good, then seeing it a mess again in what seems like seconds. I will tell you, the sorting thing is what helps me most. I also subscribe to Flylady and there are some good tips and suggestions on there. I agree with the bartering mentioned in several emails…who wouldn’t want to clean your house in exchange for some decorating tips/help?! You do such a wonderful, beautiful job!! Please take before pictures. So many of us appreciate knowing that some of these bloggers with beautifull rooms don’t always have picture perfect days. I like to start from left to right, one wall/section at a time. Clear out the clutter first. Then start from top to bottom for cleaning. YES! Use a Timer! I do this and it helps me. I too use the load of laundry and/or start out at 15 mins, if I find I “get into it” and I usually keep adding to it. You get into a groove and just keep going. It also gives me an idea of how long it takes to do stuff. Also reminds me if I just did a little a day- it won’t be so much of a massive and overwhelming undertaking. You’d be surprised how much you can accomplish in 15 minutes and again and again and again…etc. As for my fave cleaning stuff- I echo the basics- vinegar, baking soda (hello 13lb bag from Costco) I also love Mrs. Meyer’s Clean Day All Purpose cleaner in lavender. I use this for my floors and wipe down cabinets and keep a spray bottle of the mixture plus it’s a nice change of pace and smells divine. Now if there is a magic spell for cat and dog hair- I would LOVE to know what that is. For a scrub. OIl and salt is what I scrub unfinished wood with (if I’ve got one, I use half a lemon instead of a sponge). Oh, boy, you’re getting plenty of advice. I’ll try to keep mine brief. Microfiber cloths. Magic Eraser. A little at a time. Music. I’m learning a lot by reading all the tips others have left. Thanks to everyone for their ideas. I’m always looking for easier ways to get through this spring cleaning ‘ritual’. One of my favorite terms is ‘clutter begets clutter’ I shared with my daughter some tips – she’s very busy this year new marriage and new job! I love natural cleansers too – the box method of organizing is one of my favorite – one box for each: things that stay in room, go in another room, trash, donate, store, not sure where this goes – box. One of my other favorite is top to bottom – left to right. Also, cleaning walls – I like using a swiffer like mop, but if you have to use cleanser and cloth wipe from bottom up to take care of streaks. Oh, and my favorite tip – up-beat music to clean by – gives me tempo and speed and plain just makes it fun. My favorite group is Downhere (their latest cd Altar of Love) o.k. I know this your cleaning is probably doneby now, but I make a list also, except I go from top to bottom! Ceilings, lightfixtures,ceiling fans, etc down to dusting then sweeping and vacuuming and floorboards last. I do one thing at a time in each room. For me, if I work on one room at a time ,I end cleaningthen find a project to do and never get tothe rest of the house! I have 3 big dogs and a fluffy cat in my little 1200 sq ft home…not to mention a husband ;-)…so I “spring clean” every other week! I should do it weekly! :-(. Not a fun thing but a necessary thing! And it sure feels good the few days it actually lasts! Also I have to use natural products because of all the pawpaws running around! I honestly think they work just as good! Also lastly… I can not clean without the music blasting! Oh, one last tip, don’t turn on the computer, tablet or smartphone and read your gave blogs before you start!!! Heehee I have spent way to long reading about cleaning instead of actually doing the “dirty deed”! I love your blog! Stay strong and clean on! You’ve gotten some great advice and almost everything I was going to say is listed! Flylady is first! Get the stuff picked up and out the door because you can’t organize clutter, so says Flylady! She sells purple rags that are the best for cleaning!!! Equal parts vinegar and blue dawn to clean showers and tubs. Hire a cleaning company like they said. When they leave, spray your DIY fabreeze which is 2 T Downy, 2 T baking soda in a spray bottle and the rest of the bottle filled with water. I have ADD, so Flylady is my go-to personal organizer when I get overwhelmed – which is almost daily (too many projects, so little time).